Sunset Limousines provides a top-quality professional chauffeur driven limousine hire in Leeds and the surrounding areas of Yorkshire, including Huddersfield, Wakefield, Bradford and many more. 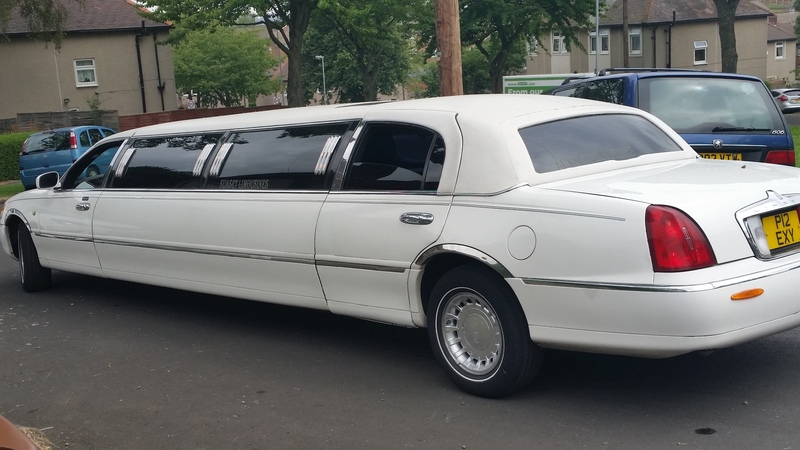 All of our limo-hire services are all available at competitive prices. If you require a chauffeur driven limousine for a Special Occasion or any special event in Yorkshire, contact the team at Sunset Limousines today. If you have an upcoming special occasion and would like a luxury chauffeur driven limousine to transport you there, get in touch with the team at Sunset Limousines in Leeds to discuss your requirements. We can supply you with an immaculate limousine, driven by a conscientious and professional driver, anytime of any day. Our reliable and confidential chauffeurs are available for business purposes in Leeds, Huddersfield, Wakefield and many other areas in Yorkshire, at affordable rates. Travel with us and you can avoid the unnecessary hassle of having to find parking space, having to deal with public transport or bad weather, meaning you can arrive at your business meeting or event the epitome of relaxation. Sunset Limousines will ensure that you reach your destination on time, in comfort and in style. All of our services are available at an affordable price, 24 hours a day, 7 days a week. Please visit our contact page and complete the enquiry form to receive your no-obligation quote. Or call the team at Sunset Limousines on 0113 229 2002 or 07973 782 955. If you have an important client you need collecting and bring to a meeting, our corporate limousine service provides the ideal solution for you to make a great first impression. If you’re organising an important work retreat or conference, a limousine makes fantastic means of transport. You will not only leave a lasting impression, but also arrive at your destination feeling relaxed and looking professional. Treat yourself and your colleagues or clients to a limousine and make working seem a little bit less like hard work. Sunset Limousines’ vehicles are available for all occasions. From birthdays and nights out, to special occasions, weddings and proms – we can provide a sleek limousine and an expert driver, to transport you to your desired location in ultimate comfort and style. Whilst travelling in one of our limousines, you can benefit from the latest technology and a full bar. All of our drivers are DBS (CRB) checked and have many years of experience in chauffeuring.